A lot of international students pick USA because of its strong reputation when it comes to higher education. With over 4500 universities across the country, the US higher education system is always held in high esteem, is extremely prestigious and exerts a powerful influence on the rest of the world. Undoubtedly, a degree from a top US university is like having global citizenship. The American higher education system offers flexible options to students according to their needs and interests. At the undergraduate level, students can choose different courses before they declare their choice for major at the end of second year. This gives students time and options to explore their interests. So, if you are undecided about your field of study it is absolutely alright. You can still apply stating that you are undecided about your major. Also, if you have already decided what you want to study, you can still study another subject and complete a “double major”, i.e. a degree in two subjects within the normal four years of study. Granting of scholarships for Indian students to study in USA is based on academic merit and distinction in other non-scholastic works. There are majorly two types of scholarships options available to choose from. Merit based scholarship: Facilitated to meritorious students who have demonstrated their academic or non-academic excellence throughout. In addition to this, exceptionally high scores in standardized tests such as SAT or ACT can also be taken into consideration. Need based scholarships which are based on the financial capacity of deserving candidates. It is offered to those students, whose family resources (as calculated by a standardized formula) are not sufficient to cover the educational costs. While there is a limited need-based aid for the international students, there are many merit-based scholarships for the world’s brightest. An international degree opens a wide range of career prospects and a degree from reputed universities widens the scope even further. 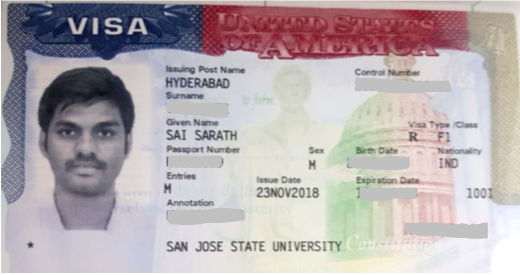 Due to the varied insight into different fields of study offered by universities of USA, it broadens the scope of the career path that the student chooses, and it is known that international companies look for candidates that offer them with a different take or perspective on their products. The American education system offers a rich field of choices for international students. There is such an array of schools, programs and locations that the choices may overwhelm students, even those from the U.S. As you begin your school search, it’s important to familiarize yourself with the American education system. Understanding the system will help you narrow your choices and develop your education plan. PRIVATE UNIVERSITIES: Private schools, also known as independent schools, non-governmental, or nonstate schools, are not administered by local, state or national governments; thus, they retain the right to select their students and are funded in whole or in part by charging their students tuition, rather than relying on mandatory taxation through public (government) funding; at some private schools students may be able to get a scholarship, lowering this tuition fee, dependent on a student’s talents or abilities (e.g. sport scholarship, art scholarship, academic scholarship), need for financial aid, or tax credit scholarships that might be available. PUBLIC UNIVERSITIES: In the United States, most public universities are state universities founded and operated by state government entities. States generally charge higher tuition to out-of-state students. The higher fees are based on the theory that students from the state, or much more often their parents, have contributed to subsidizing the university by paying state taxes, while out-of-state students and their parents have not. Every U.S. state has at least one public university to its name and the largest states have more than thirty. THE IVY LEAGUE: The Ivy League is a collegiate athletic conference comprising sports teams from eight private universities in the Northeastern United States. The conference name is also commonly used to refer to those eight schools as a group beyond the sports context. The eight members are Brown University, Columbia University, Cornell University, Dartmouth College, Harvard University, the University of Pennsylvania, Princeton University, and Yale University. The term Ivy League has connotations of academic excellence, selectivity in admissions, and social elitism. LIBERAL ARTS COLLEGES: Generally, have the focus on undergraduate study of the traditional arts and science disciplines: humanities, sciences, and social sciences. Strictly liberal arts colleges are often quite old and mostly private schools. They are highly-rated institutions as they stress on small classes, individual attention to the students, and closer relationships between the faculties and students. Many of them also generally have rigid admission standards. Among these schools are: Amherst, Marist, Swarthmore, Manhattan, Smith, MountHolyoke. ASSOCIATE DEGREE: Associate degrees are classified into an undergraduate academic degree awarded to those who complete two years of coursework after high school. It is generally awarded by community colleges, junior colleges, and technical educational institutes. An associate degree is almost equivalent to the first two years of the four-year bachelor program. It is the lowest level of education after high school and termed to be the first-level postsecondary academic degree. BACHELOR’S DEGREE: The time requirement to complete a bachelor’s degree is usually four years for a standard program, completing 120 semester hours. Examples of bachelor’s degree include Bachelor of Business Administration, Bachelor of Arts, and Bachelor of Science. MASTER’S DEGREE: Master’s degrees are awarded to scholars who have done advanced study having specialized in a discipline. Within the study toward a master’s degree, graduates are engaged in self-propelled learning of a specific group of hypothetical and connected subjects; high aptitudes in examination, basic assessment or expert requisition; and the capacity to tackle complex issues and think thoroughly and autonomously. In the United States education system, a master’s program generally requires two years after the four-year bachelor’s degree program. The duration can be long or short depending on the education system of different countries. Master’s degree programs can incorporate 36 credit hours after the four-year completion of a bachelor’s degree. The most common types of master’s degree are the Master of Arts and Master of Science. DOCTORATES: Commonly known as PhD. Duration of the same may range from 3 years to 5 years. Students can take admission for a PhD only after completion of their master’s degree. PhD students need to submit a research proposal as well must appear for GRE/GMAT & TOEFL/IELTS exams for admissions. English Proficiency are a mandatory requirement for most of the educational institutions in USA. Exam Type: Standardized test. Available in 2 modules: “Academic”, “General training”. 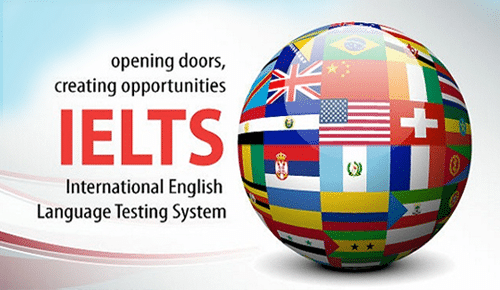 Purpose: To assess the English language proficiency of non-native English speakers. Exam Duration: 2 hours, 55 minutes. Major intake is the Fall intake, but most of the universities are open for Spring and few of them for summer & winter intake too. However, all subjects commence in Fall and only some in Winter and Summer intake. Part Time Jobs: While studying, student can work for 20 hours per week on campus. A student can take up jobs such as laboratory assistant, library helper, or work in the dining halls. Whatever the case, a student cannot exceed 20 hours of work per week. However, during vacation time a student can work for up to 40 hours per week. Students can earn $ 8 – $12 per hour. CPT (Curricular practical training): Students who have finished 2 semesters of full time study in a US University is eligible to work full time for a period of one year as a part their curricular practical training. Exceptions to the one academic year requirement are provided for students enrolled in graduate studies that require immediate participation in curricular practical training. 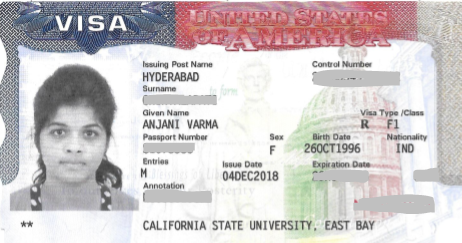 OPT (Optional Practical Training): F-1 student visa allows a student to work for one year after graduation under a plan called Optional Practical Training (OPT). This has been extended to 29 months for STEM Graduates (Science, Technology, Engineering, and Management). Once a student completes this student will need to switch to a work permit (H-1) to continue working legally. 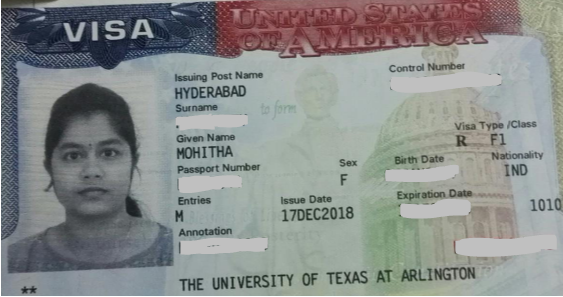 If you are looking for a coaching center for GRE, IELTS or TOEFL including the admission into universities I would say Novus is the best destination for you.The faculty approach to each and every student was so good.they make sure that you are taking all your mocks and also you are improving your score.coming to the admissions part i got admit into California state university, Sacramento.The counselor at the admissions made the whole admission process so easy and convenient.she made me confident enough to take my visa interview by taking plenty of mocks before.i suggest that Novus is the best stop for your complete ms process. An excellent place to achieve knowledge and enhance skills in a friendly environment. The GRE+IELTS combo is of huge help for those planning for master’s. Practice tests are conducted from time to time to assess your improvement and additional care is taken for each individual in their weak areas.The tutor’s approach of teaching is different with upgraded materials and an extended support is given by the staff as well in case of any queries. Novus Education provides a good guidance and support for students who are planning to pursue masters abroad. They have good and experienced faculty along with quality practice sessions which helped me in scoring band 7 in IELTS. Additionally the consultancy services provided are pretty good as they guide in every step in the process. 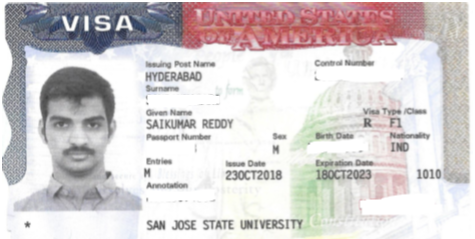 Thanks to Novus Education for their excellent services right from the selection of universities, admissions to visa process and especially Sowjanya mam who is there all the time advising me through out the admission process. 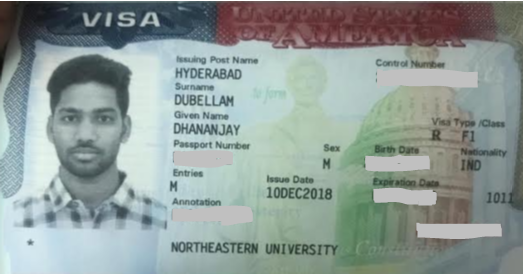 Definitely a great place to start your abroad pre education process like me wherein I got admitted to Northeastern University. Novus education provides good platform for those who are planning to go abroad.I got a gre score of 313 and IELTS band 8. They were also very helpful during my admission process. They provide clear guidance for your VISA process too. I totally recommend Novus education for anyone who is planning to go abroad for their studies. Novus education provides a great platform for students who are planning their career abroad .I got 309 (q-164, v-145 ) in my Gre and 7 band in IELTS .The consultancy services offered by Novus for the admission process helped me to fetch an admission in finest universities like UTD , SJSU. I want to express my sincere gratitude to entire team for their excellent counseling, guidance for Visa Interview and coaching. It has not only helped me to get a good score in GRE, but also boosted my confidence to do well in the future. Novus special emphasis on the Verbal part made matters easy for me in the exam. Novus provides great platform for the students who are planning to study abroad. I have mainly improved in verbal part after joining Novus. It also provides motivation for the students. I am satisfied with the Counsellor for admissions. Admission services and consultancy seemed appealing. I thank Novus’s for the excellent coaching for GRE and TOEFL. I am especially thankful to Sowjanya madam for support and guidance in choosing the Universities, documentation work and preparing for the Visa interview. What I like the most at Novus’s is the individual attention paid. They have helped me gain the confidence to present myself for the interview. I am happy to have chosen this institute. Surprisingly my Interview went on in the same way as counseled and it was cake walk. I thank the entire team for their support. Most importantly I would like to appreciate the dedication shown at Novus. I would like to thank Sowjanya madam for her constant support through the application and visa step. A very advisable work by Novus. Thanking you again for every thing. My experience with Novuss was great. 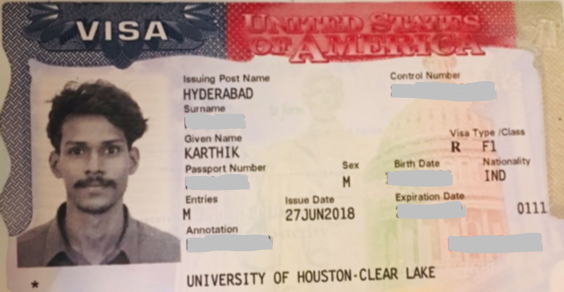 Before coming to Novuss I was perplexed about My study in U.S ,But after being here I was comfortable .The Universities suggested by Novus team was apt. The is very patient towards the students till they get their VISA and moreover Novuss service was at my door step. What Novuss differ from others is their VISA guidance and preparation for my VISA interview. Thank you for your help. I’m attaching the scan copy of my visa. 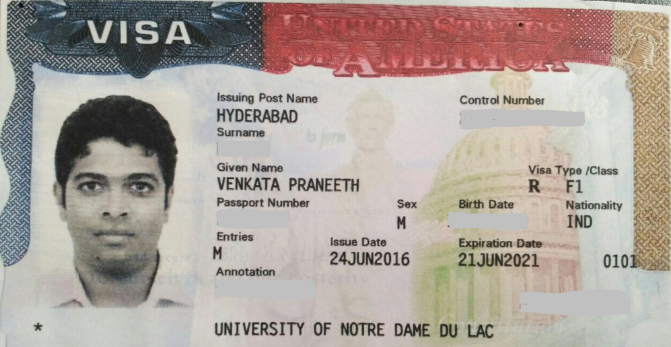 MS in USA is my childhood dream and biggest challenge before me. I sincerely thank Novus team for giving me immense support throughout my application and VISA guidance. Before coming to Novus institute I am an empty vessel, but gained complete knowledge on regarding best universities with scholarship. Coming to VISA guidance, Novus team is the best in counseling and guides in a smooth and perfect way. The counseling helped me to gain confidence in obtaining VISA. 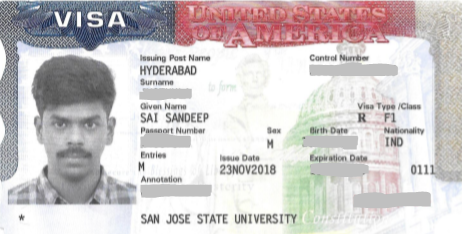 In very first attempt I did not clear my VISA interview, I was disappointed but Novuss team gave support and encouraged me a lot in which I got my VISA in second attempt. I suggested my juniors to approach Novuss if they plan abroad for higher studies and I would also suggest the students to avail services offered in Novus for your success. I simply say the work done by Novuss is superb and very impressive and I sincerely and strongly recommend students to approach Novuss for their best services. Once again I am grateful and thankful to Novus staff and for all the continuous support through out my journey for MS. I want to express my sincere gratitude to entire team for their excellent counseling and guidance for Visa Interview. To be frank, it wasn’t a cake walk for me, but without Novus help and constant support I wouldn’t have achieved it. I would like to suggest the students to avail all the services offered here because they are the best in the field.